Looking for a USED 105-202? Choose Type 105 for wet grinding or Type 106 where both wet and dry grinding are done. Type 105 has motor driven pump and tank mounted on the rear of the base. Type 106 has pump/reservoir below wet wheel, with belt drive from grinder spindle. The dry side of the Type 106 has the Cincinnati Saf-T-Square guard. Wheels can be mounted without dismantling guard. 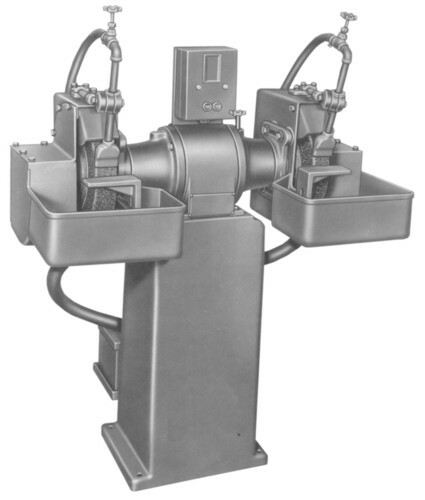 Motors are totally enclosed, non-ventilated types, rated for continuous grinder service. All are equipped with ball bearing, grease lubricated and sealed, designed for long life.